The ONE AND ONLY Original Authentic Fumo Pipe! 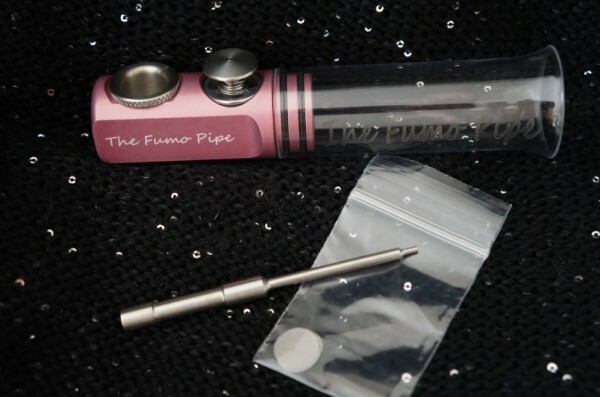 The Fumo Pipe is available in a variety of colors; NEW - Pink , Purple, Black, Blue, Grey, Green, and Red. It has a unique carburetor to cool the product with every hit. All the stainless steel pieces and screens go through a passivation process to eliminate any metal taste. The unique design makes your smoking pleasure more smooth, without causing lung discomfort or coughing. This is the complete set that includes a 3" tube, Carburetor and Bowl (Brass or Stainless), 3 extra screens, and a cleaning tool all in a pre-packaged box.